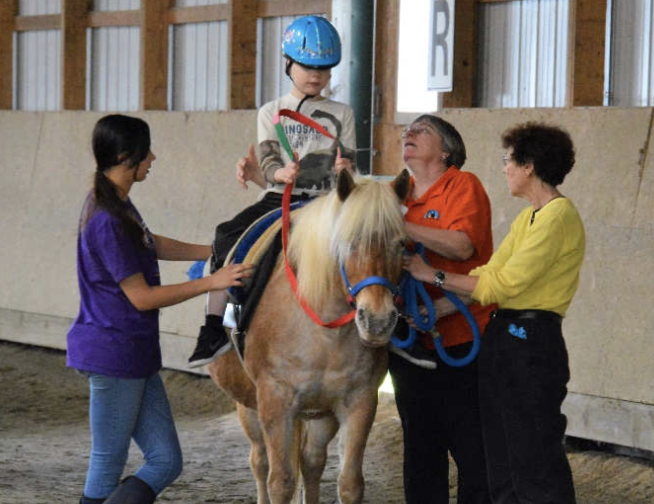 A child, who is unable to sit up on their own, experiences the movement and benefits of sitting astride a horse in hippotherapy. 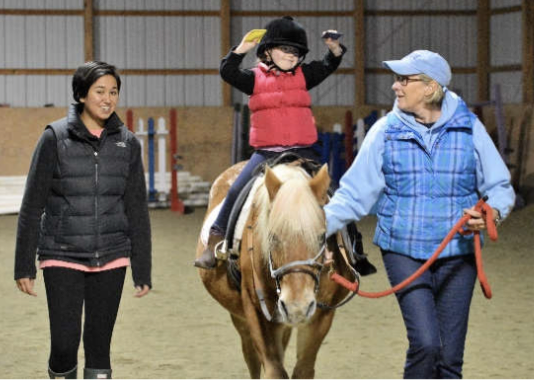 Children and adults with significant strength deficits regain their balance and core strength through therapeutic riding. Autistic children and adolescents learn social skills, make friends, and build confidence and self-esteem because they are learning to ride horses. Children who learn differently have fun practicing reading, math, and science in Horse Powered Learning activities at the farm. People in the community come to together in the spirit of volunteerism to help vulnerable populations in connecting with horses in a safe and nonjudgmental environment. Families find support and camaraderie in kindred spirits while raising children with special needs. Our horses receive the finest care, so they can do their best for our riders and special equipment is purchased to make our rider’s lives easier. A frail bedridden woman in the last weeks of her life was visited by Buttons, the mini pony. 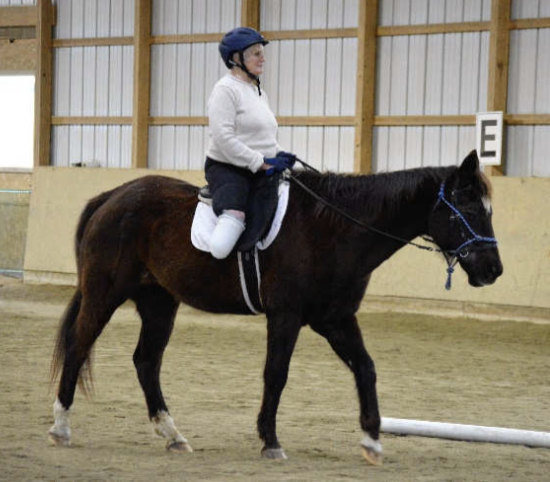 She told us that she had ridden and trained horses in her younger years. She told us that she “danced” with them (rode dressage). She talked for several minutes about how much horses meant to her. Not only did the staff not know this about her, we were told that she seldom speaks. But she told Buttons her life story. 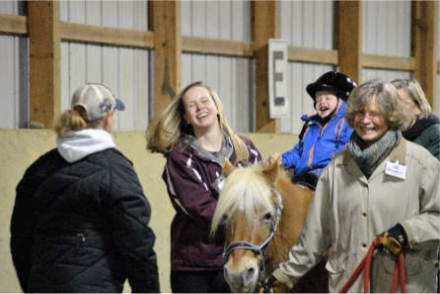 After a grief and bereavement workshop with the horses at the farm, a mom listened as her son shared how a pony helped him to feel better about himself after losing his grandmother to cancer. He told her that he was finally able to feel happy about his memories and that he could still love his grandmother who is now in heaven. Your donations inspire, bring hope and make the lives of so many better! We have been able to do so much given your support, however, we need you again! Together, we can do even more! Thank you for your assistance in changing lives, I wish you the very best for your own happy new beginnings in 2017!